Why is Health Care so Hard to Follow? Learning another language is never easy. When my family moved to America from Hungary, none of us knew English. Trying to live and work in a new country without speaking the language was hard for all of us. We’re not alone. About 11% of North Carolinians speak a language other than English at home, that’s a million people. On top of that, health care is hard to understand, even for people who speak English only. One study showed that 9 out of 10 Americans have a hard time understanding health information. A large part of the difficulty is that health insurance and health care are complex and filled with words the average person doesn’t know. In addition, BCBSNC follows the standards set by The Department of Insurance in North Carolina and the Centers for Medicare and Medicaid Services. These agencies often require us to use specific language that can be difficult to understand. That’s one of the reasons why we can’t simplify everything. But we are working hard to improve the materials that we can change. Over the past 2 years, BCBSNC has made a commitment to use clear language. One-by-one, we are making our letters, web pages, and other materials easier to read. Nearly 500 employees have taken a training on using clear language. We also did a study and found that our writing is at a much lower reading level. 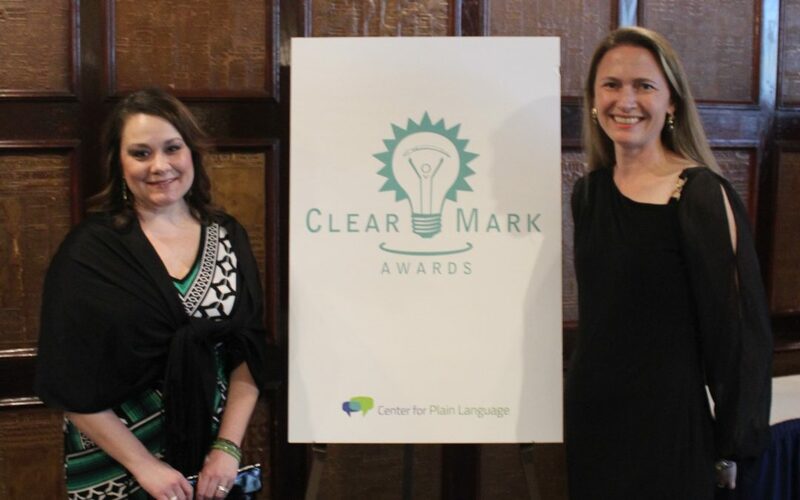 In May, BCBSNC won a ClearMark Award of Distinction from the Center for Plain Language. And members reported that they were significantly more likely to understand web pages that have been simplified in a recent survey. Write at the 6th – 8th grade reading level whenever possible. Add definitions when we use a word that may be unfamiliar. Put your action steps at the top. This way you’ll know what, if anything, you need to do. Make our messages shorter so members can find key points quickly. We also include suggestions for where to go to learn more. We hope you’re seeing a difference.